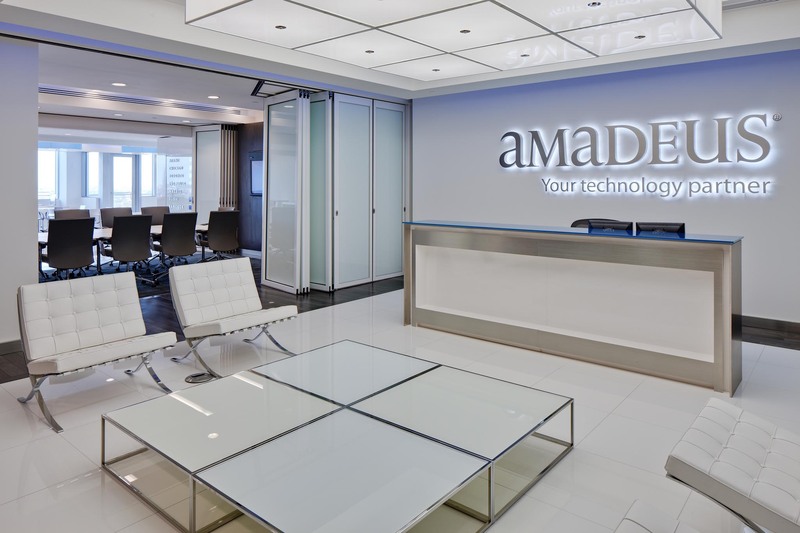 For the corporate headquarters relocation of Amadeus North America, a leading travel technology partner and transaction processor for the global travel and tourism industry, NanaWall played a role in creating “flexspace” for the company’s learning center, set amid labs, a call center and offices and meeting areas. Located in One Park Square in Doral, Fla., near Miami, the sleek, $5 million workplace developed by Wolfberg Alvarez Architecture and Engineering and Ponch Herrera of P2 Interiors is marked by white glass floors, custom wood millwork and illuminated, back-painted glass with LED light coves. 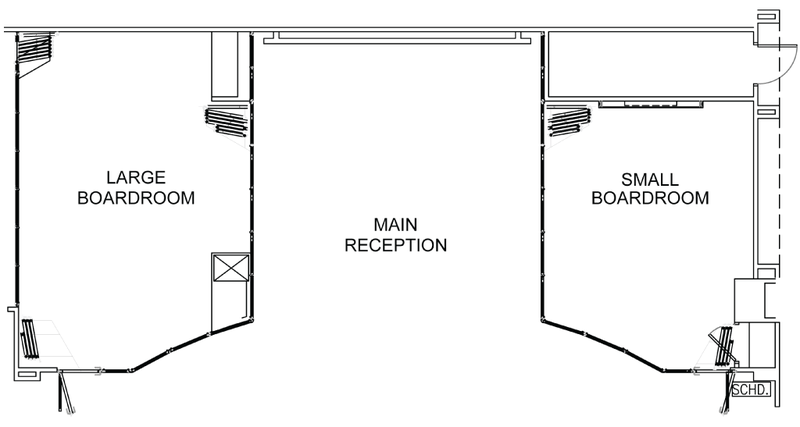 The flexspace layout is apparent to visitors as soon as they arrive. 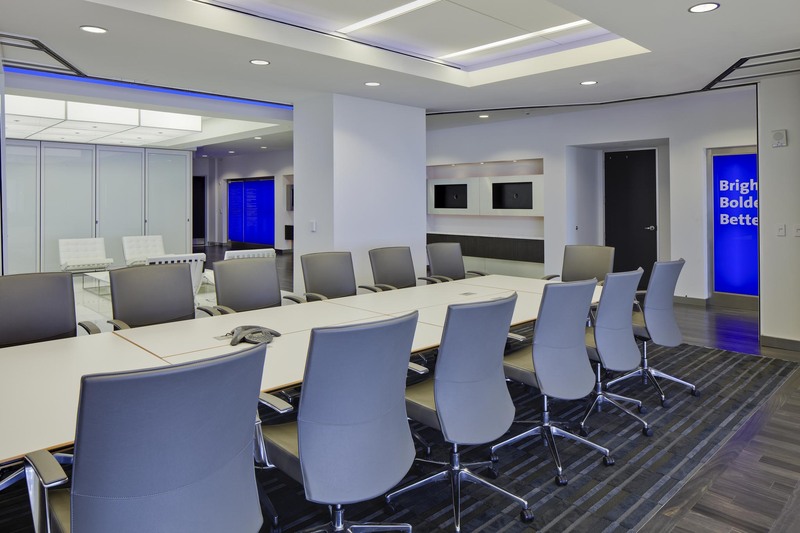 At the reception area, NanaWall HSW60 operable glass-wall partitions enclose two smaller areas into “boardrooms,” according to the Wolfberg Alvarez design team. 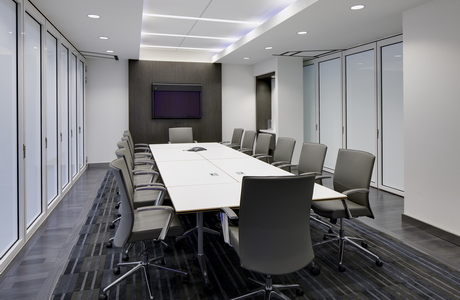 Designed with white framing and frosted glass to match the nearby Barcelona chairs, they provide good acoustics and visual privacy – yet they can be instantly opened and stacked out of site to create a large meeting or event area. 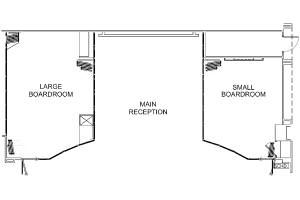 The unique floor plan provides either an open-concept layout or distinct private workspaces. 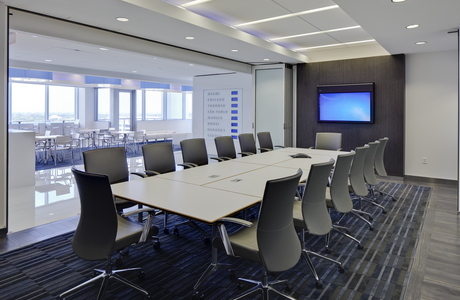 The solution emerged from the Miami architecture firm’s unique client-focused design process. “We listen first, then we dig deep to understand challenges and deliver solutions that fit the way people live, work, play and learn,” according to Wolfberg Alvarez, touting the “synergies” of the firm’s integrated architecture and engineering disciplines. 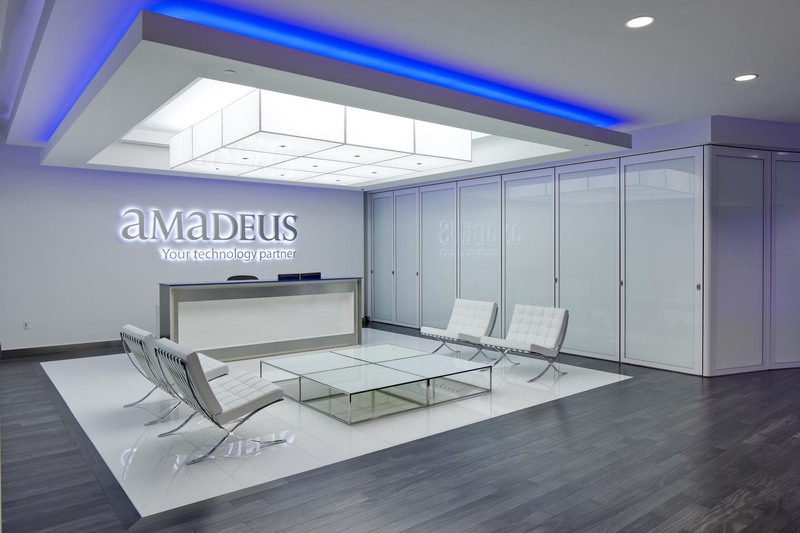 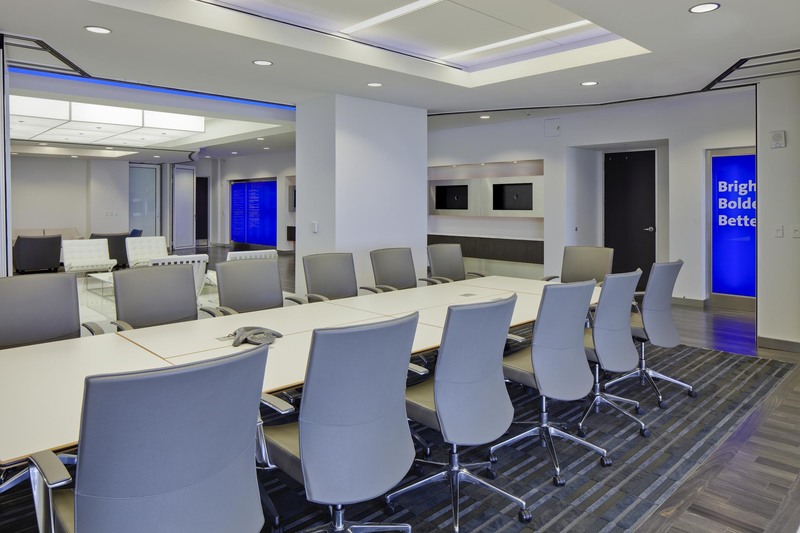 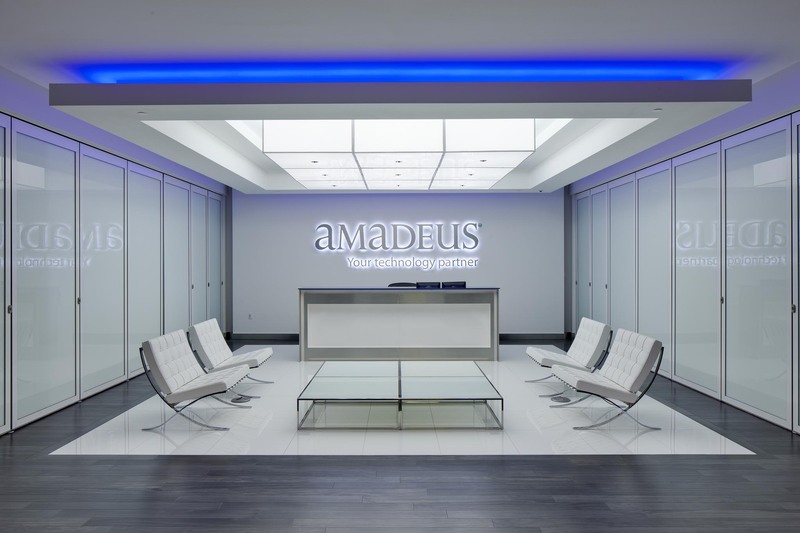 In this situation, the unique floor plan provides either “an open-concept layout or distinct private workspaces,” as needed to suit the fast-moving client training operations at Amadeus. 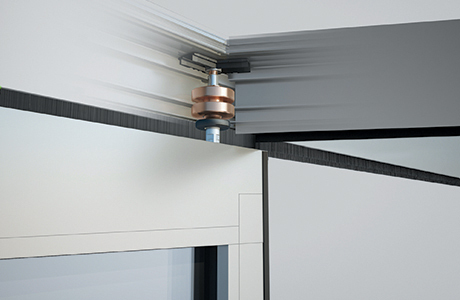 With laminated glass and pre-gasketed construction, the project team was confident that the NanaWall system would provide the isolation needed by the client – even without a floor track, which ensured a clean, sleek presentation with no tripping hazard or unsightly floor hardware.